The Berlin Wall fell, but communism didn't. A century after the Bolshevik Revolution, one-fifth of the world's population still lives under single-party communist regimes in China, Cuba, Laos, North Korea, and Vietnam. Communist regimes continue to commit the worst and widest-scale human rights abuses on the planet. Sadly, many young people are ignorant of the facts. We released our 2nd Annual Report on U.S. Attitudes Toward Socialism in November 2017, and the results were far from encouraging. More Millennials would prefer to live in a socialist country (44%), or even a communist country (7%), than in a capitalist one (42%). Only about a third of Millennials can correctly identify the defining characteristics of either a socialist (36%) or communist (32%) state. Half of all Americans have never heard of Mao Zedong, the biggest mass murderer of the 20th Century. 70% of Americans drastically underestimate the number of people murdered by communist regimes. There has never been a more important time to invest in the education of young people. 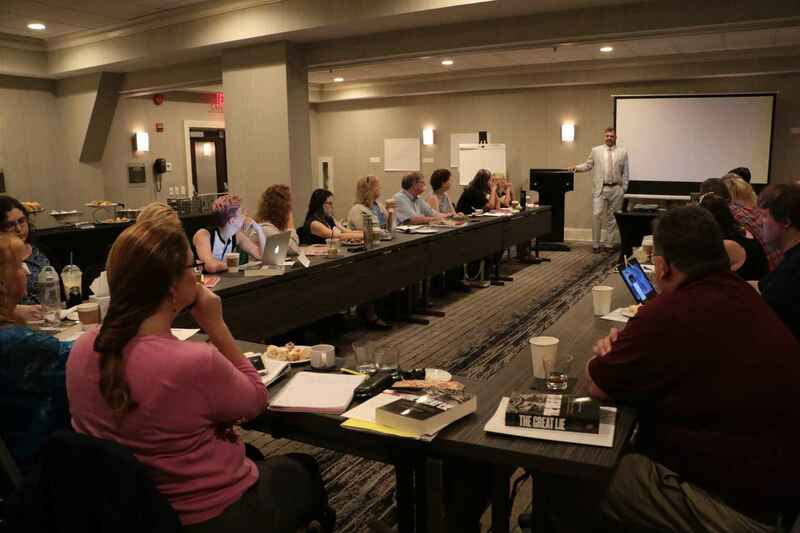 We educate the next generation by equipping teachers at our annual National Seminar for High School Educators, sponsoring lectures on college campuses worldwide, and hosting local events that highlight the horrors of communism. It is up to us to teach students the stories of the persecution dissidents face in the absence of a free society. We must teach students that violent intolerance is the hallmark of totalitarian regimes—not free republics. Please support our efforts to educate the next generation so that they will be able to live free and respectful lives. Academic Programs. We educate students through our high school teacher seminars, college events, and curriculum Communism: Its Ideology, Its History, and Its Legacy. American Cold War Veterans. We promote awareness of the role the U.S. military played in resisting communism worldwide from Korea and Vietnam to flashpoints from Cuba to the Berlin Wall. Annual Report on U.S. Attitudes Toward Socialism. We publish a widely-cited annual report measuring generational perceptions of communism and socialism. Archives & Public Exhibits. We accept archival donations and curate exhibits featuring dissident art, including The Gulag Collection by Ukrainian artist Nikolai Getman. Digital Media Campaigns. We reach millions every year through our advertisements, animated videos, blog, earned media, mini-documentaries, podcast, and social media. Human Rights Programs. We boost dissident truth-telling by partnering with human rights advocates to convene civil society events, foster dialogue, and brief policymakers. Memorial. We built the first memorial statue in the world dedicated to every single victim of communism. It's in sight of the U.S. Capitol and is visited daily by dignitaries and tourists. Study Centers. Our geographically-focused study centers host fellows who produce research and reports that help Americans better understand regional history and current events. Truman-Reagan Medal of Freedom. We award a medal of freedom to those who have demonstrated a lifelong commitment to freedom and democracy and opposition to communism and all other forms of tyranny. Witness Project. We produce an oral history video series featuring the stories of men and women who have witnessed communism. Socialism is a lie because its expecting the government to take care of you instead of you being responsible for yourself and for others. Hope all these lectures will be very effective in helping students and other understand the true meaning of communism. Thank you for teaching truth to the teachers! We must turn this around! To educate teachers on how to debunk the so-called merits of socialism. I grew up in communist Romania. I know how the communist promise a great equality between people! What they don't say is all get equally poor!